This is the public profile of Zhou Jingkuan, Additional information and high-resolution images are available for accredited press members, to access additional information about Zhou Jingkuan please login as a press member. 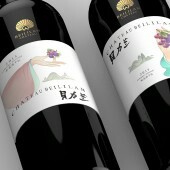 About Zhou Jingkuan : Zhou Jingkuan is a packaging designer, his usual main job is to design tobacco, wine, food packaging. He believes that the goods like a person, the quality of the product is the soul, and the packaging is a coat, a beautiful coat can cause others to the goodwill, and thus to understand the quality of this product, it will increase the better goods consumption. 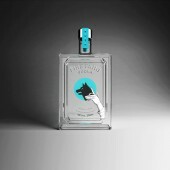 He insisted on using international graphics design thinking design creative design, because he has won several international packaging design competition awards. Press Members: Request an exclusive interview with Zhou Jingkuan.